Humanity faces numerous problems of common-pool resource appropriation. This class of multi-agent social dilemma includes the problems of ensuring sustainable use of fresh water, common fisheries, grazing pastures, and irrigation systems. Abstract models of common-pool resource appropriation based on non-cooperative game theory predict that self-interested agents will generally fail to find socially positive equilibria---a phenomenon called the tragedy of the commons. However, in reality, human societies are sometimes able to discover and implement stable cooperative solutions. Decades of behavioral game theory research have sought to uncover aspects of human behavior that make this possible. Most of that work was based on laboratory experiments where participants only make a single choice: how much to appropriate. Recognizing the importance of spatial and temporal resource dynamics, a recent trend has been toward experiments in more complex real-time video game-like environments. However, standard methods of non-cooperative game theory can no longer be used to generate predictions for this case. Here we show that deep reinforcement learning can be used instead. To that end, we study the emergent behavior of groups of independently learning agents in a partially observed Markov game modeling common-pool resource appropriation. Our experiments highlight the importance of trial-and-error learning in common-pool resource appropriation and shed light on the relationship between exclusion, sustainability, and inequality. Optimization of parameterized policies for reinforcement learning (RL) is an important and challenging problem in artificial intelligence. Among the most common approaches are algorithms based on gradient ascent of a score function representing discounted return. 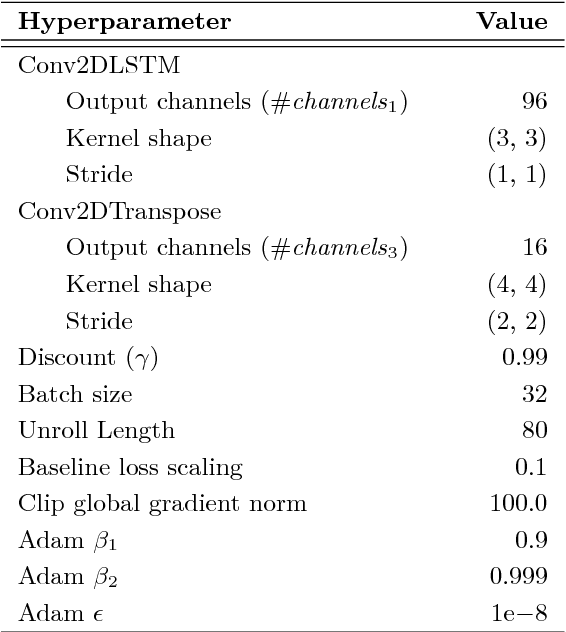 In this paper, we examine the role of these policy gradient and actor-critic algorithms in partially-observable multiagent environments. We show several candidate policy update rules and relate them to a foundation of regret minimization and multiagent learning techniques for the one-shot and tabular cases, leading to previously unknown convergence guarantees. 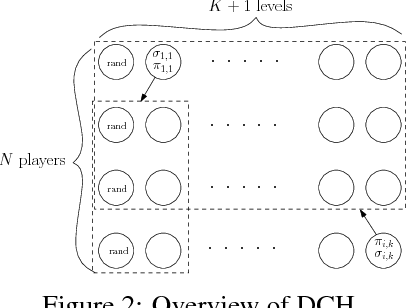 We apply our method to model-free multiagent reinforcement learning in adversarial sequential decision problems (zero-sum imperfect information games), using RL-style function approximation. 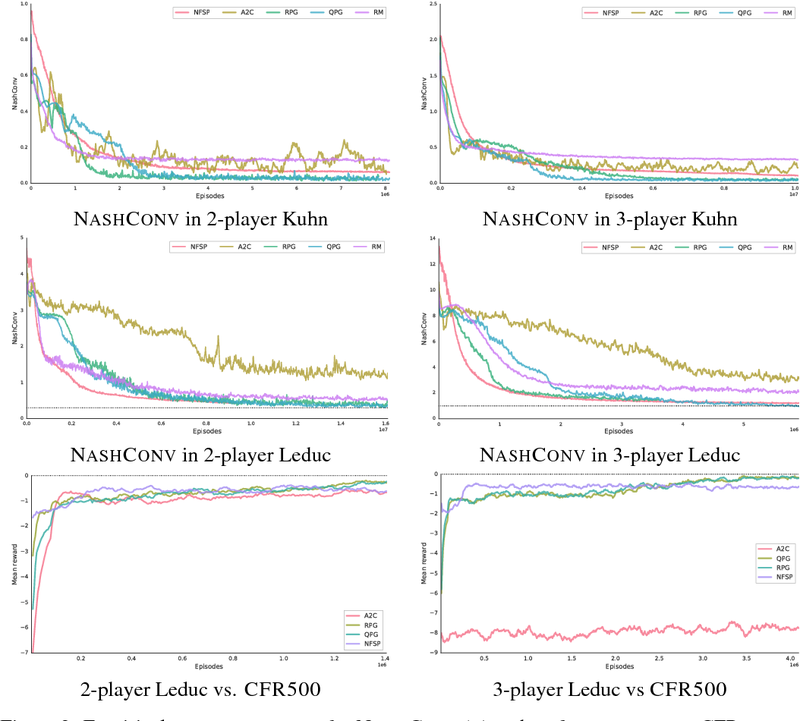 We evaluate on commonly used benchmark Poker domains, showing performance against fixed policies and empirical convergence to approximate Nash equilibria in self-play with rates similar to or better than a baseline model-free algorithm for zero sum games, without any domain-specific state space reductions. 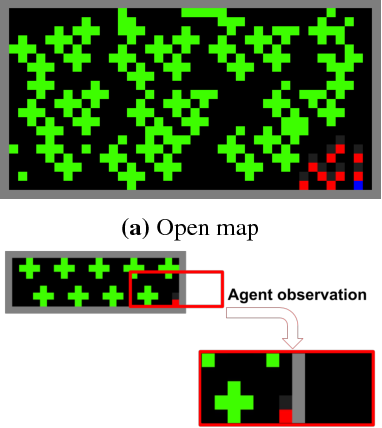 To achieve general intelligence, agents must learn how to interact with others in a shared environment: this is the challenge of multiagent reinforcement learning (MARL). 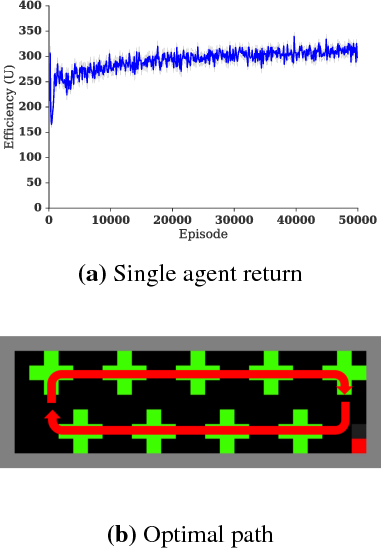 The simplest form is independent reinforcement learning (InRL), where each agent treats its experience as part of its (non-stationary) environment. In this paper, we first observe that policies learned using InRL can overfit to the other agents' policies during training, failing to sufficiently generalize during execution. We introduce a new metric, joint-policy correlation, to quantify this effect. 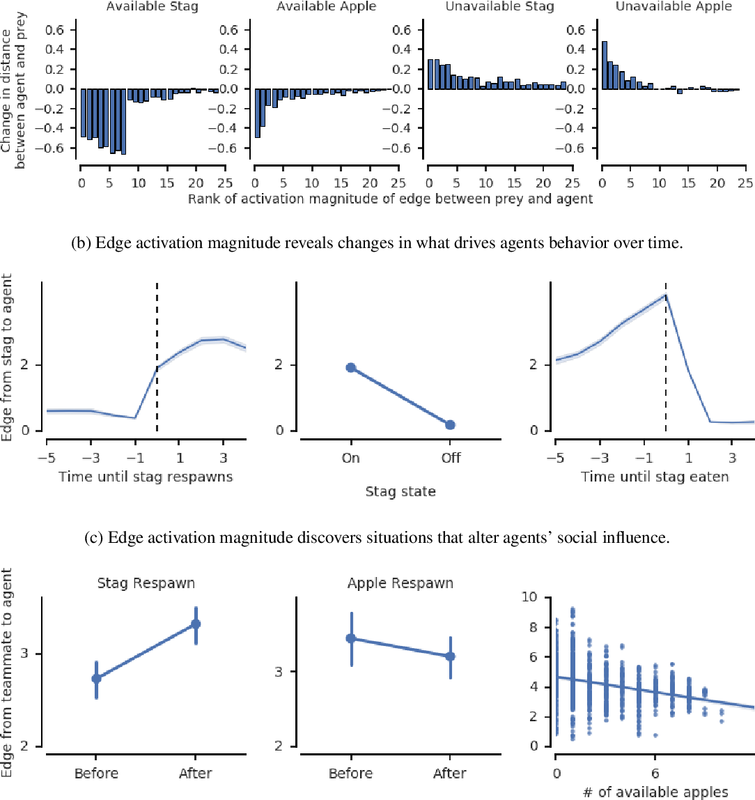 We describe an algorithm for general MARL, based on approximate best responses to mixtures of policies generated using deep reinforcement learning, and empirical game-theoretic analysis to compute meta-strategies for policy selection. The algorithm generalizes previous ones such as InRL, iterated best response, double oracle, and fictitious play. Then, we present a scalable implementation which reduces the memory requirement using decoupled meta-solvers. Finally, we demonstrate the generality of the resulting policies in two partially observable settings: gridworld coordination games and poker. 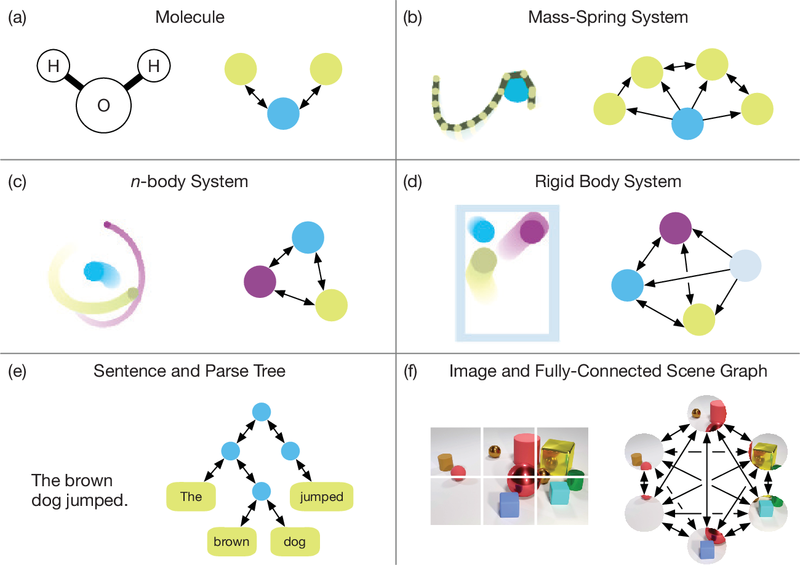 The behavioral dynamics of multi-agent systems have a rich and orderly structure, which can be leveraged to understand these systems, and to improve how artificial agents learn to operate in them. Here we introduce Relational Forward Models (RFM) for multi-agent learning, networks that can learn to make accurate predictions of agents' future behavior in multi-agent environments. Because these models operate on the discrete entities and relations present in the environment, they produce interpretable intermediate representations which offer insights into what drives agents' behavior, and what events mediate the intensity and valence of social interactions. Furthermore, we show that embedding RFM modules inside agents results in faster learning systems compared to non-augmented baselines. As more and more of the autonomous systems we develop and interact with become multi-agent in nature, developing richer analysis tools for characterizing how and why agents make decisions is increasingly necessary. Moreover, developing artificial agents that quickly and safely learn to coordinate with one another, and with humans in shared environments, is crucial. 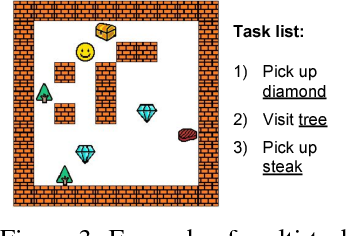 We study the problem of cooperative multi-agent reinforcement learning with a single joint reward signal. This class of learning problems is difficult because of the often large combined action and observation spaces. In the fully centralized and decentralized approaches, we find the problem of spurious rewards and a phenomenon we call the "lazy agent" problem, which arises due to partial observability. We address these problems by training individual agents with a novel value decomposition network architecture, which learns to decompose the team value function into agent-wise value functions. 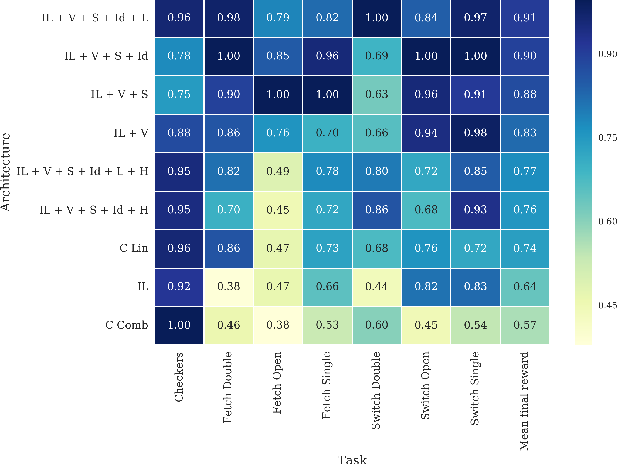 We perform an experimental evaluation across a range of partially-observable multi-agent domains and show that learning such value-decompositions leads to superior results, in particular when combined with weight sharing, role information and information channels. 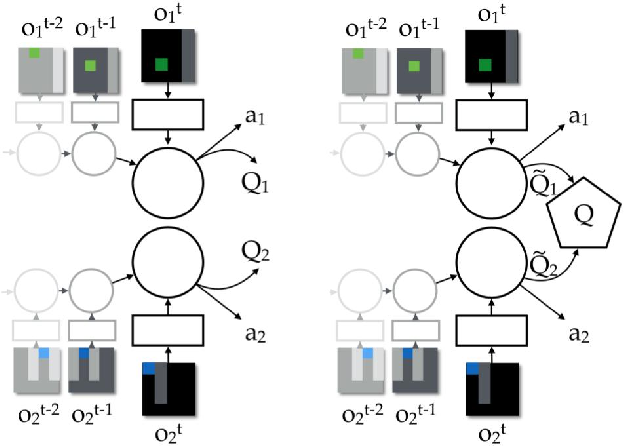 We introduce an approach for deep reinforcement learning (RL) that improves upon the efficiency, generalization capacity, and interpretability of conventional approaches through structured perception and relational reasoning. It uses self-attention to iteratively reason about the relations between entities in a scene and to guide a model-free policy. Our results show that in a novel navigation and planning task called Box-World, our agent finds interpretable solutions that improve upon baselines in terms of sample complexity, ability to generalize to more complex scenes than experienced during training, and overall performance. In the StarCraft II Learning Environment, our agent achieves state-of-the-art performance on six mini-games -- surpassing human grandmaster performance on four. By considering architectural inductive biases, our work opens new directions for overcoming important, but stubborn, challenges in deep RL. Artificial intelligence (AI) has undergone a renaissance recently, making major progress in key domains such as vision, language, control, and decision-making. This has been due, in part, to cheap data and cheap compute resources, which have fit the natural strengths of deep learning. However, many defining characteristics of human intelligence, which developed under much different pressures, remain out of reach for current approaches. In particular, generalizing beyond one's experiences--a hallmark of human intelligence from infancy--remains a formidable challenge for modern AI. The following is part position paper, part review, and part unification. We argue that combinatorial generalization must be a top priority for AI to achieve human-like abilities, and that structured representations and computations are key to realizing this objective. Just as biology uses nature and nurture cooperatively, we reject the false choice between "hand-engineering" and "end-to-end" learning, and instead advocate for an approach which benefits from their complementary strengths. We explore how using relational inductive biases within deep learning architectures can facilitate learning about entities, relations, and rules for composing them. We present a new building block for the AI toolkit with a strong relational inductive bias--the graph network--which generalizes and extends various approaches for neural networks that operate on graphs, and provides a straightforward interface for manipulating structured knowledge and producing structured behaviors. We discuss how graph networks can support relational reasoning and combinatorial generalization, laying the foundation for more sophisticated, interpretable, and flexible patterns of reasoning. As a companion to this paper, we have released an open-source software library for building graph networks, with demonstrations of how to use them in practice.